So you’ve taken a deep breath, swallowed your pride, and dialed your first cold call of the day. Now what? Don’t panic! No need to convince expired leads of the value of an agent—they’re not FSBO leads—you just need to convince them you’re the person for the job. There are hundreds of mock scripts floating around the internet to help you perfect your cold calls to expired leads. Cold calling expired listings can be a direct route to expanding your client base. 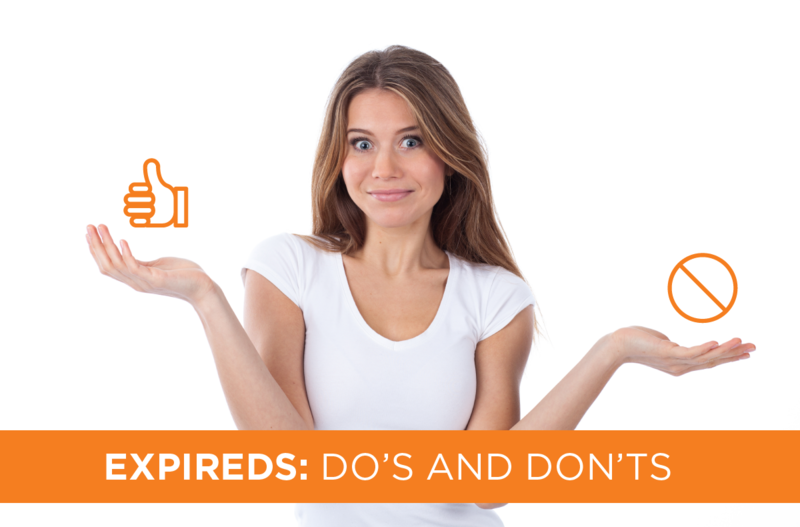 An expired lead is a homeowner whose listing agreement expired or was withdrawn or cancelled. They’re already selling their home, and they already agreed to pay an agent. You can find expired listings using MLS software, but phone numbers aren’t included. You can find the numbers manually using county records, but who has the time for that? Subscribe to Landvoice starting at only $60 per month, and we’ll send expired listing numbers directly to you. The most important part of making a cold call script is using one that fits you and your personality. People can sense authenticity, and it’s best to be you. As an agent, your personality is your greatest asset. If a script doesn’t come naturally to you, you will be less likely to use it consistently. You may even give up on calling on expired leads. Don’t give up! Follow a few simple do’s and don’ts to help you develop your script so you can start confidently calling homeowners and turning cold calls into valuable listings. Do practice your script over and over, and when you’re finished, practice some more. Do provide value by showing, not just telling, by giving helpful tips of the trade, even on a cold call. Do listen to their concerns before you speak. Your silence will speak louder than your script. Don’t read the script—write your script in your own words so it sounds like you. Don’t brag. Remember: show, not tell, and listen! Don’t be a salesman. There is a difference between being persistent and pushy. Just because you use a script doesn’t mean your call should be scripted. A script is a guideline that will help you gather your thoughts and really listen to the person on the other end of the line. As you follow our do’s and don’ts (in addition to your own that you’ve learned through trial and error), you’ll notice your calls will turn more into genuine interactions. Your call won’t come across as an automated sales call; it will be meaningful to the homeowner because you’ll form a connection. Real estate isn’t really a property business – it’s a people business. When homeowners feel listened to, needed, and respected, they’ll trust you to list their home. A cold call is just another way to connect with others in a real, significant way. One last tip: Think about cold calls as a service call, rather than a sales call. You’ll find more success as homeowners open up, share their worries and concerns, and then appreciate your empathy enough to employ you as their agent. Landvoice offers subscription services to get you over the hump from calling expired listings to doing business entirely from happy client referrals. Bundle subscriptions and save—not only time, but money. Landvoice is the one provider you need that offers services like Call Capture, which can help build relationships that can turn into listings, and other subscriptions that send MLS and FSBO leads right to your inbox. Choose Landvoice and you’ll save valuable time you can dedicate to taking your business to the next level.